Why is my phone nuber field data not posting? In the middle of my form I have a phone number data field. When the form is filled out in it's entirety this is the only info not submitted via email. The data IS however collected and available on Jotform.com. Just not in the submittion email to me. What am I doing wrong? Please help! ;-) PLEASE! Then perform a test submission. If it is successful, you can save the changes. Otherwise, please let us know so that we can assist you further. How is the phone number not included? 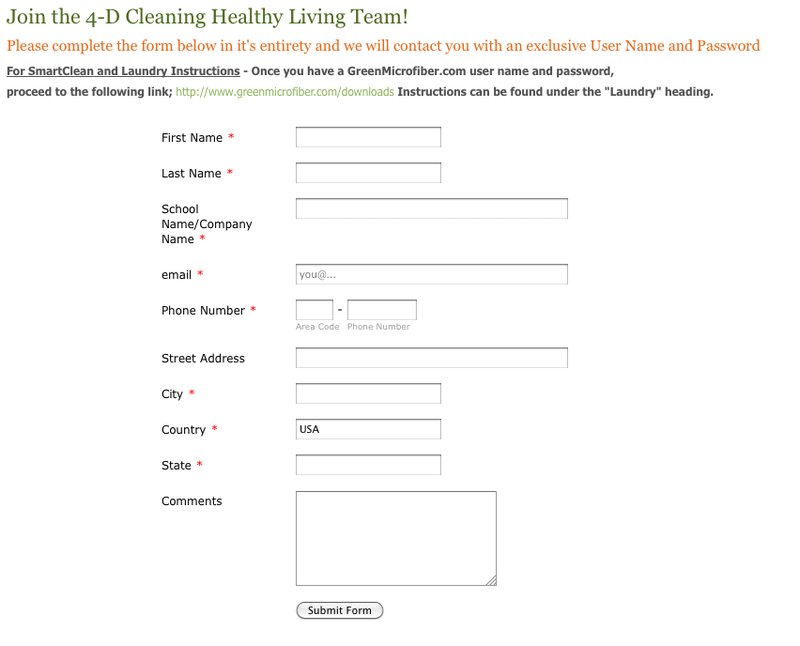 I added it through the Jot Form interface. Is this a bug on the site? Should I just recreate the form. It's so simple I'm confused as to why I'm having an issue. 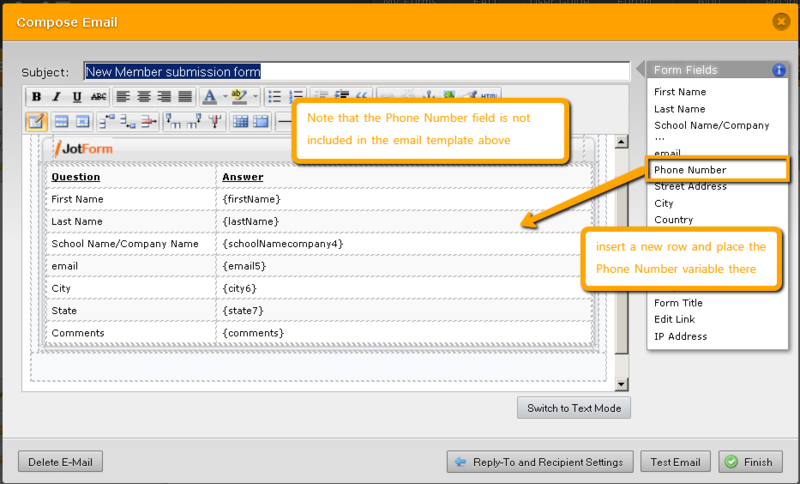 Although the phone number field is added right inside your form, the placeholder for that field is not present in your notification email template. The easier and less complicated way to correct this is to re-create your notification mail. Of course, you would have to delete the old notification mail first. 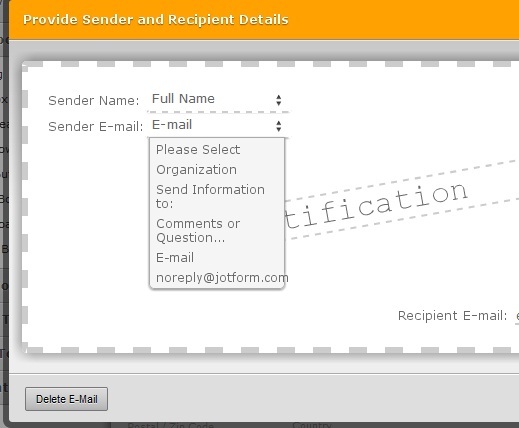 Whenever you modify your notification/autoresponder emails, they will be considered by the system as customized and will no longer be updated automatically when you add/delete fields in your form. 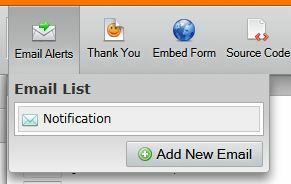 You would need to either manually update the notifications or re-create them (much easiser). Neil, You the man! It's been a while since I've used the site and forgot about this part of the process. Makes perfect sense! Thanks again! !